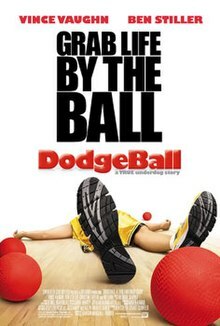 The DVD and Blu-ray releases all contain various outtakes and deleted scenes including an alternate ending as well as an infamous ‘Easter Egg’  in the form of a spoof director’s commentary. The directors commentary track starts out in the traditional fashion with Director and co-stars but soon adds in extra characters and descends into a largely unrelated comedy experience. Halfway through a seemingly chaotic recording, it stops and is replaced by the directors commentary for there’s something about Mary! ^ "ESPN is creating ESPN8: 'The Ocho' for one glorious day". SB Nation. Retrieved August 18, 2017. ^ Rosenthal, Phil. "'ESPN8: The Ocho' to replace ESPNU — if only for a day". Chicago Tribune. Retrieved August 28, 2017. ^ "ESPN is bringing back 'The Ocho'". SBNation.com. Retrieved August 16, 2018.